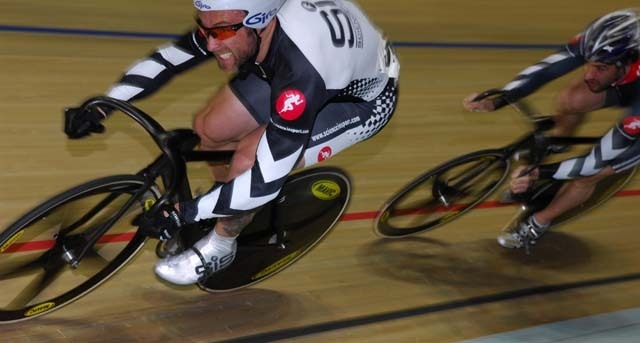 AFTER a highly successful season focussing on the road with T-Mobile, Mark Cavendish (pictured) re-found his track legs to win the opening race of the new Revolution season at Manchester Velodrome on Saturday night. Displaying his quick turn of speed on the final lap of the motor-paced scratch race, he took the line ahead of fellow Tour de France rider Geraint Thomas. Other winners in the elite endurance events included Chris Newton and American visitor Colby Pierce. Cavendish also took a second win when he partnered Ed Clancy to a time of 57.393 seconds in the Revolution?s trademark 1km time trial. In the sprint events Jamie Staff showed good form to claim the Keirin and also the Cycling Weekly Two-Up Team Sprint with Jason Queally. Meanwhile in the individual sprint final, Jason Kenny confirmed his potential for the future when he put away Craig MacLean. The women?s endurance events saw Becky James, Alex Greenfield and Lizzie Armitstead all take wins. Check out this week?s Cycling Weekly for more on the Revolution meeting. Revolution sprint.- Jason Kenny (Great Britain) 10.750 beat Craig MacLean (Plowman Craven-Evans Cycles RT); 3, Steven Hill (Great Britain). Revolution keirin.- Dave Daniell (Great Britain); 2, Christian Lyte (Great Britain);3, Steven Hill. 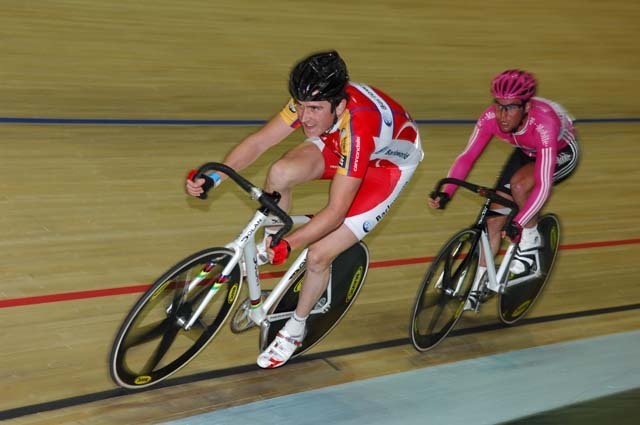 Invitation keirin.- Jamie Staff (Great Britain); 2, Craig MacLean; 3, Jose-Antonio Escuredo (Spain). 500m Two-up team sprint.- Jamie Staff and Jason Queally (Great Britain) 31.582; 2, Craig MacLean and Jason Kenny 31.719. 1km handicapped Madsion time trial.- Mark Cavendish (T-Mobile) & Ed Clancy (Landbouwkrediet) 57.393; 2, Emma Trott (VC Londres) & Ella Hopkins (Mid-Devon CC) 57.561; 3, Lucy Martin (Team chance) & Alex Greenfield (Pinarello RT) 58.757. Motor paced scratch race.- Mark Cavendish; 2, Geraint Thomas (Barloworld); 3, Colby Pierce (USA). 10km points race.- Colby Pierce 11pts; 2, Ed Clancy 10; 3, Chris Newton (Recycling.co.uk) 6. 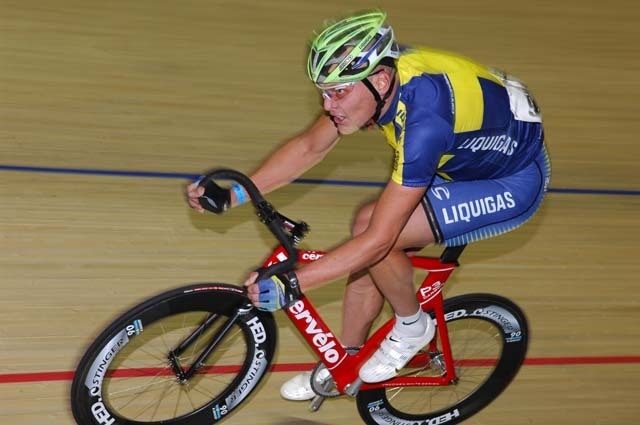 15km scratch race.- Chris Newton; 2, Mike Friedman (USA); 3, David O?Loughlin (Pezula Racing). Women?s 8km scratch race.- Alex Greenfield (Pinarello RT); 2, Lizzie Armitstead; 3, Lucy Martin (Team Chance) . Women?s points race.- Lizzie Armitstead 12pts; 2, Katie Colclough (Fat Birds RT) 8; 3, Kate Cullen (City of Edinburgh RC) 8.